In certain areas, additive manufacturing and FDM Technology is a reliable alternative to conventional metal-cutting methods, like milling, turning, boring, etc., for many leaders in the automotive industry. 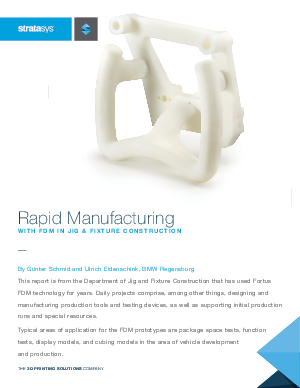 Learn how BMW uses FDM for manufacturing, and more specifically testing and producing jigs and fixtures. Read how BMW uses FDM for ergonomic improvements, production of complex and organic component shapes, reducing detail costs, streamlining production and more.